The third year of the AICUO Award for Excellence in the Visual Arts (EVAs) came to a close last night with student artwork on display and the exciting news of the 2010 Grand Award Winner and the People's Choice Award Winner. This year's Grand Award Winner is Ms. Maia Brown from Oberlin College. Maia's portfolio showed her maturity as an artist, activist, and dedicated member of the larger art community. Her interest in Jewish religious articles is showcased in her broad range of installations, drawings, and bookmaking. As the Grand Award Winner, Maia will receive a cash prize of $2,500 as well as the opportunity to have her artwork purchased and shown by AICUO in their office. In addition to the Grand Award Winner, AICUO was pleased to announce the People's Choice Award Winner, Ms. Jacs Fishburne from Denison University. Jacs demonstrated her strong photography skills in her portfolio. A record number of votes were calculated for the People's Choice Award this year with Jacs receiving the most votes. 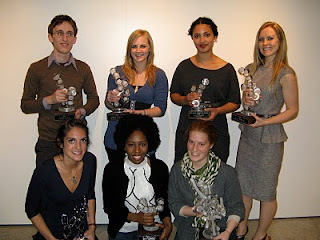 The Grand Award Winner, the People's Choice Award Winner, and the five winners including Charisse Harris of Baldwin-Wallace College, Amina Hassen of Oberlin College, Morgan Carlson of the Cleveland Institute of Art, Andrew Kuhar of the Cleveland Institute of Art, and Erica Podwoiski of the Columbus College of Art & Design, received custom-made, blown glass awards created by Columbus artist Linda Diec. This year's student panel, student exhibition, and reception were hosted by Denison University at the Bryant Arts Center. The student panel, moderated by Gretchen Batchellor, a painting professor at Denison University, allowed for other students, faculty, and judges to get insight into the six finalists' works and their experience as artists throughout their college careers. 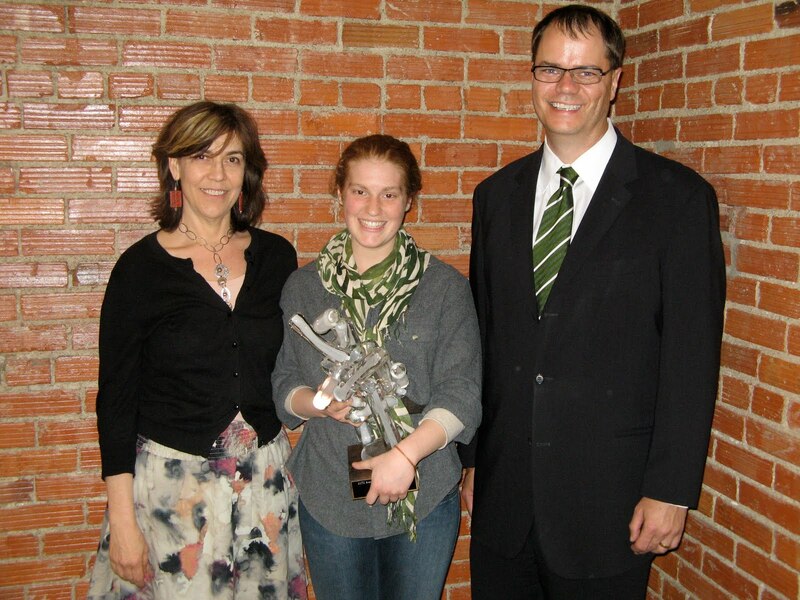 The newest component for the 2010 Awards was the addition of the student exhibition located in the Bryant Gallery. The six Award winners submitted one piece of work each to be shown on the evening of the reception. Since the EVAs are completely online art awards program, the student exhibit allowed viewers to see the students' pieces up close and personal. 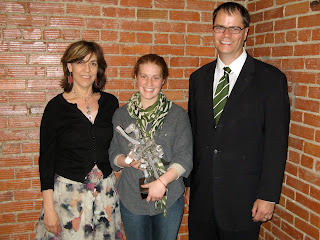 The work of all nineteen nominees from around the state of Ohio are posted on the awards Web site, www.aicuoartaward.com. All student work on the Web site will remain there indefinitely to allow these students to reference this award as a great accomplishment as an artist.